A self-proclaimed atheist Eagle Scout has sued his local school district for allowing prayer at his graduation ceremony last month. 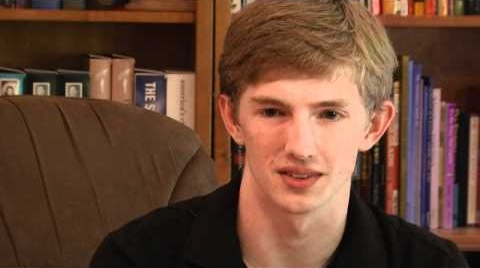 Matthew “Max” Neilson, 18, says that his First and Fourteenth Amendment rights were violated when school officials at Irmo High School in Columbia, South Carolina allowed a student to proceed with the benediction when he graduated on May 30th. According to reports, Neilson emailed the principal prior to graduation to express his concerns. The principal replied by pointing him to the district policy, which states that if a prayer is to take place at a school event, it “will be given by a student volunteer” and that it must be “non-sectarian and non-proselytizing in nature.” Neilson also met with the principal, as well as the district superintendent. Additionally, two letters were sent to the school board by the Freedom from Religion Foundation, based in Wisconsin. They may be read here and here. However, because Irmo High School allows students to vote each year on whether prayer will be a part of the graduation ceremony, and the majority of students voted in favor this time, officials did not wish to get involved. Neilson also told a local television station that he filed the lawsuit, in part, out of his duty as an Eagle Scout to uphold the Constitution, which includes what he views as being a violation of the Establishment Clause. ChristianNews.net recently asked The Boy Scouts of America how the organization handles these types of conflicts of belief. “To become an Eagle Scout, a boy completes specific requirements – as is the case for other ranks – and then must undergo a board of review, where a review of the requirements is conducted for each rank,” Boy Scouts of America representative Deron Smith explained. “In this case, the scout went before a board of review, who confirmed that he had met the requirements to be awarded the Eagle rank. That represents a past achievement, much like a diploma. The fact that someone may subsequently indicate that they do not believe in the values of scouting or our principles, does not indicate they did not earn their achievements in scouting consistent with our values and standards,” he added. Neilson claims that he upheld the scout oath by committing to his own concept of God. Smith advised that Neilson is no longer a member of the Boy Scouts, and did not believe that the issue pertained to scouting. When it was explained that Neilson’s position that his rank as an Eagle Scout was one of the motivations that compelled him to file the lawsuit, Smith declined further comment. The decision of whether student-led prayer may continue at Irmo High School and other public schools within the Lexington-Richland 5 School District now is in the hands of the federal court.